Proud to be nominated by Homestars for the Best of 2017 award. Every job includes award winning quality and service. 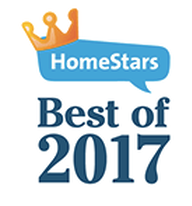 Proud to be nominated by Homestars for the Best of 2017 award. If you would like be present when we complete the estimate please select a preferred date and time, otherwise we will dropoff the quote at your house. Please note we will confirm the day/time of the quote. 1) Is your company liability insured, and are all your workers WSIB covered in case of an accident? 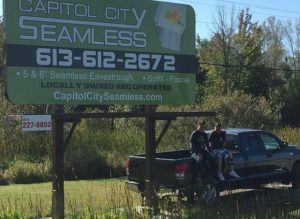 Capitol City Seamless is fully liability insured for 2 million dollars, and all workers are WSIB covered, including the owner. 2) Do the workers have proper training for working off ladders and heights? All employees of Capitol City Seamless must complete a Fall Arrest safety course. As our own policy, one of our workers on the job site must be First Aid and CPR certified. 3) Is there a clear written warranty provided with the quote? Our warranties are written on every estimate. 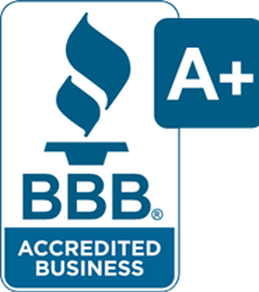 As important, we respond quickly and efficiently to any warranty work – we do not ignore requests, or make homeowners wait months for a repair. 4) How much experience do your workers have in the Aluminum field? All of our installers have been working with aluminum (eavestrough, soffit &fascia, siding) for a minimum of 10 years, most more. 5) What gauge are the materials that are being installed on my home? Aluminum comes in many gauges, and is one of the main factors for the price of your quote. We only use heavy gauge materials that have been manufactured in Canada. 6) Is this work being completed by your company, or is it being sub-contracted out to another company? All jobs taken on by us, are completed by us. We do not sub-contract work out to other companies. 7) Can you supply me with unbiased reviews from previous jobs your company has done? We have pages of reviews on Homestars.com (A reputable contractor review website). There is a link to these reviews from our website on the ‘about us’ page. "How nice, and how rare is it to find a good contractor. Josh and his team were excellent and I cannot say enough good things about them. Very good price, prompt, completed on time and on budget - no surprises. And very nice guys! My 100 year old house now looks fresh again. Thanks Josh." "I had a very good experience with Josh and his team. We have an old house, with multilevels and numerous roof lines, which was in need of all new eavestroughs. Josh was prompt, professional and knowledgable with regards to what I needed. I had a number of quotes for this job, but was comfortable hiring Josh for this job, and he did not dissapoint. From quote, to scheduling and performing the work, as well as followup, it was a great experience. I would highly recommend Josh and his team! Thanks guys!" "Had some existing gutters replaced and new gutters installed on new structures and must say the service was exactly as advertised. Workmanship was exceptional, price was competitive and fair and they stand behind their product. Wouldn't hesitate to recommend them to anyone"